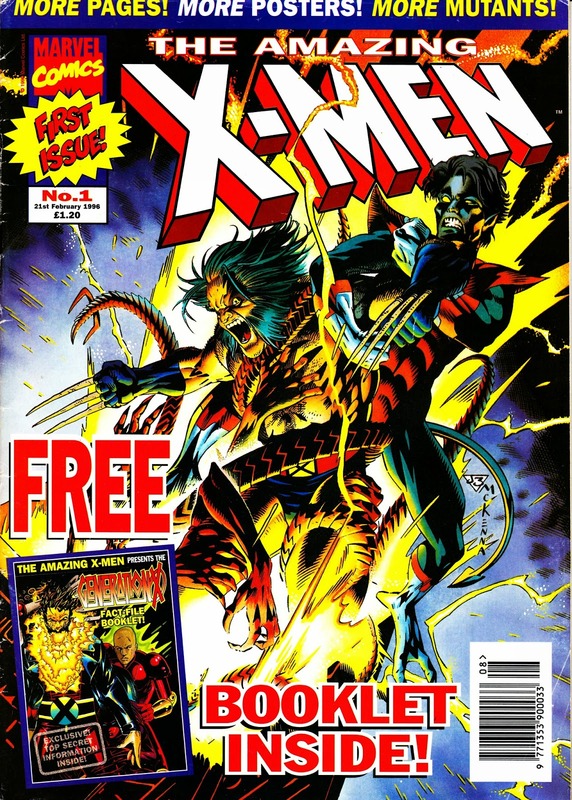 Another MARVEL UK (or, I think, by this point technically Panini UK) launch: THE AMAZING X-MEN issue 1 from February 1996. The reprints were from some of the myriad of US X-branded books of the time alongside GENERATION X (a spin-off who had the privilege of appearing in a not-entiely-faithful-and-rather-lacklustre TV movie which came close to spawning an ongoing weekly series before the project was quietly abandoned). This was a reboot of the previous Marvel UK title which had been published to capitalise on the UK showings of the animated series. This appeared alongside the early issues of the card-cover/ US-dimensions Collector's Edition which had rather longer longevity. I curate/compile IDW's Transformers Classics UK books (thanks for the review, BTW), and I wonder whether we could have a chat about an idea I've had. Is there any way we can exchange email addresses? I love the site, incidentally. A treasure trove! I have to say that I think you do the most amazing job with those TRANSFORMERS books… you have set a new benchmark for repackaging old material. When Marvel sticks an old MARVEL AGE article in the back of a trade paperback… it just doesn't measure up. I always pick up the new edition on the day of publication and devour your articles (and all the archive bits-and-bobs) to get the inside story of the creative process and how MARVEL UK operated back in the eighties. I can't recommend your books highly enough. Your books are one of the main reasons I've done so little about TF here (I was a loyal reader for at least the first 200 issues)… you've already got it covered (and there is a vast online fandom anyway… so nothing really needs recording here for posterity).